My older son is obsessed with pizza. Specifically, pepperoni pizza. And, unfortunately, he has been mostly anti-egg for a while now. He used to happily eat scrambled eggs as a baby but a couple of years ago decided he didn’t really like the texture anymore. He is a great eater and very open-minded about food but I really want him to eat eggs – especially for breakfast. 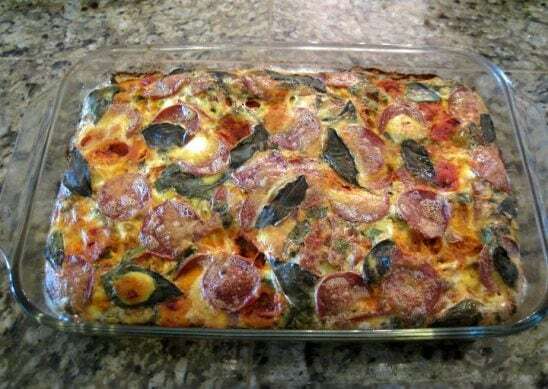 Since you know I am a bit obsessed with making egg casseroles, I decided to marry his obsession with pepperoni pizza and my obsession with egg casseroles and viola – the mother of all breakfasts – the Pepperoni Pizza Egg Casserole. Oh my word – this thing is good. Like, crazy good. Not only did my older son happily eat it for breakfast but he ALSO had a piece for lunch. Since he eats dairy, I melted a little mozzarella on top of his and served it with an additional side of pizza sauce for dipping. Drool. 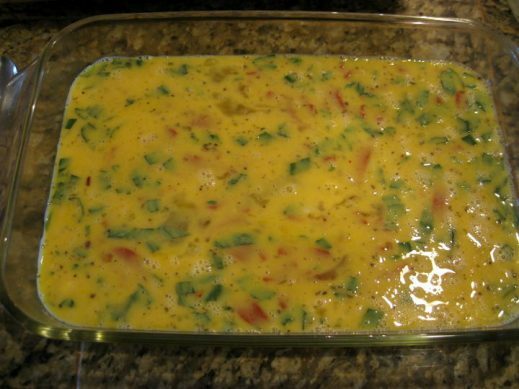 If you eat cheese, you could also whisk 1 to 1 1/2 cups of shredded mozzarella in with the eggs. If not, it’s plenty delicious without it! 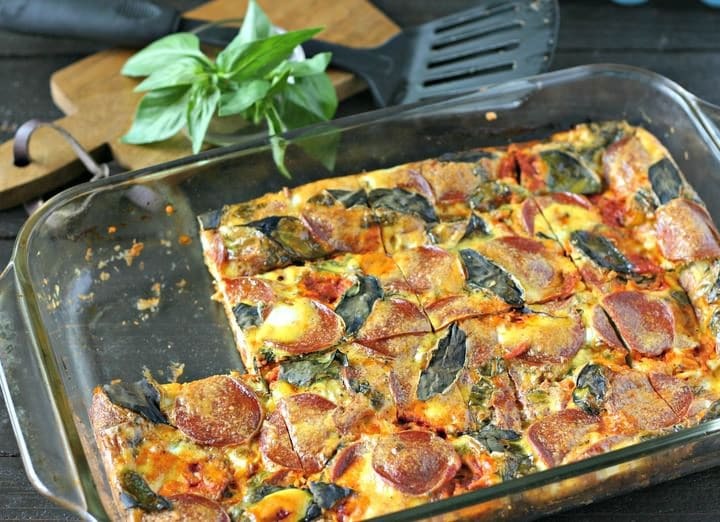 This freezes great (after being cooked, cut and cooled) and is Whole30 compliant as long as you use a sugar-free pizza sauce and the right kind of pepperoni. 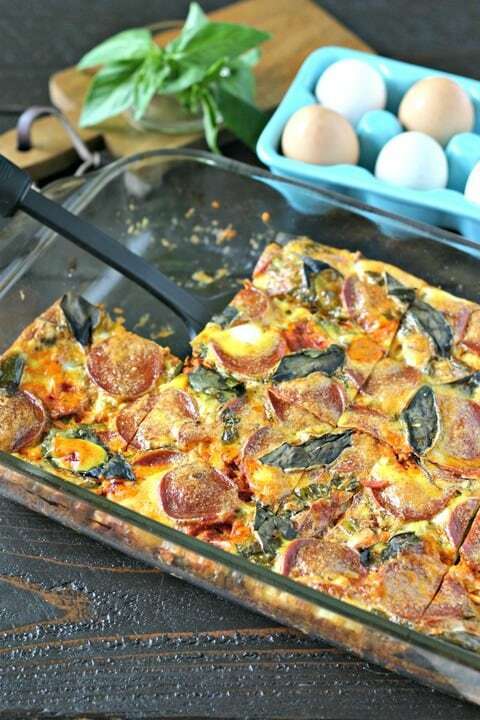 Pepperoni Pizza Egg Casserole. 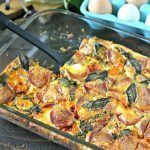 A dairy free and gluten free breakfast casserole! In a large mixing bowl, crack eggs. Add Italian seasoning, salt, red pepper flakes and black pepper. Whisk or beat until slightly foamy. 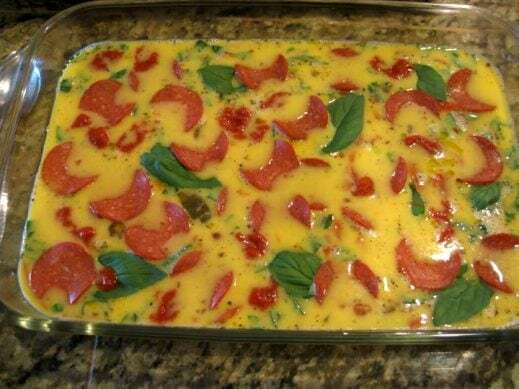 Reserving some of the whole basil leaves and whole pepperoni for the top of the egg casserole. 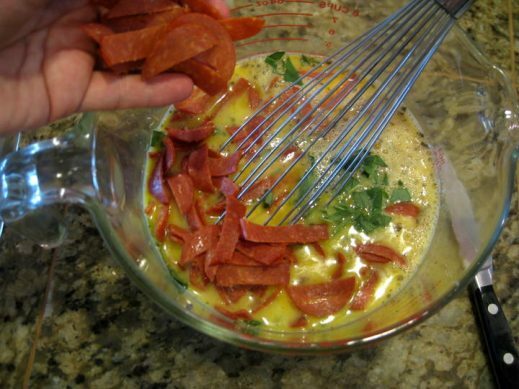 thinly slice the majority of both the basil leaves and pepperoni and toss in with the beaten eggs. 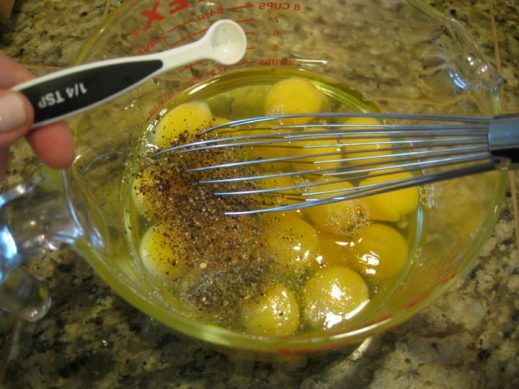 Pour the egg mixture into the greased casserole dish. Add pizza sauce by pouring about 1 tablespoon (doesn't need to be exact) at a time into casserole, trying to distribute evenly. Gently place remaining whole basil leaves and whole pepperoni slices on top of the casserole (it's OK if some sinks in, it will rise while cooking). Bake uncovered on center rack for 55 to 60 minutes until center is firm to touch and edges are beginning to brown. 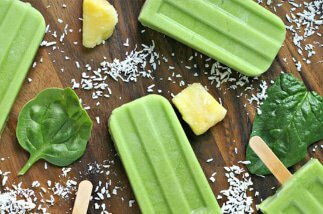 Allow to cool for at least 10 minutes, slice into 8 squares and Enjoy! I am in desperate need of spicing up my egg breakfasts, so I’m excited to try this. I also love that you can freeze the pizza! Hope you LOVE it Tara! Hello!! Have you tried prepping this the night before and baking in the morning? Usually thats how I roll, but wasn’t sure how the pizza sauce and eggs would sit overnight ?? Yes and it works GREAT! Hi Zag, You don’t have to use the pepperoni in the picture for this recipe to be Whole30. Just use a Whole30 approved brand and you’re good to go! 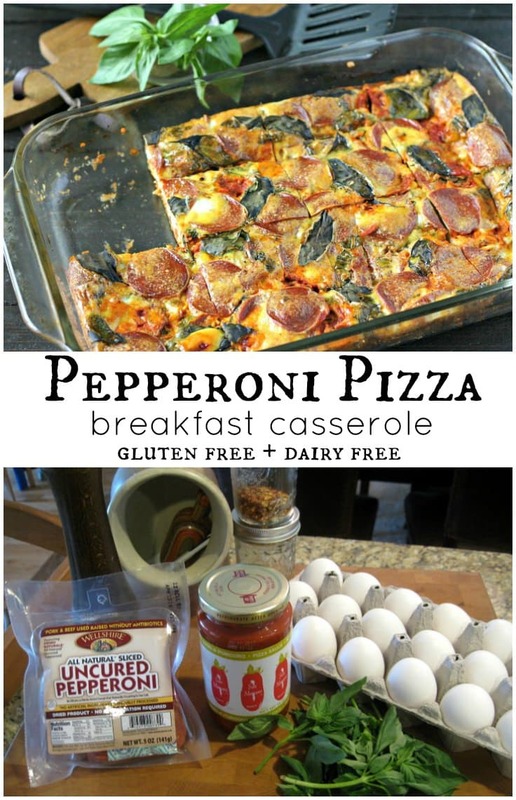 Can you bake the eggs first and then put pizza toppings on top of cooked eggs? Seems like it would be more like pizza. You can but the flavor isn’t as good! 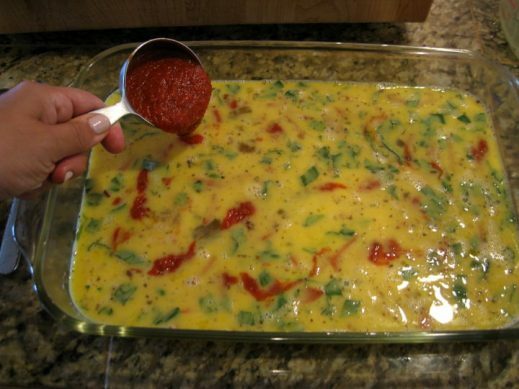 Can you just mix pizza sauce with eggs before blending? Hi Nancy! 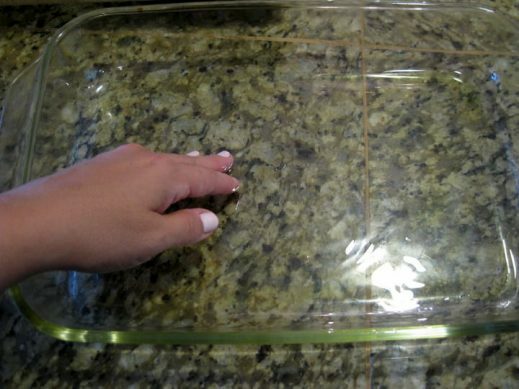 You can but the taste (and look of the casserole) is totally different. I’d have this for breakfast, lunch, or dinner. 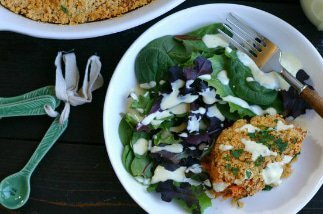 Fun dish! A lot like a frittata, but better. Thanks! Such a time saver in the morning!